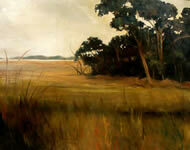 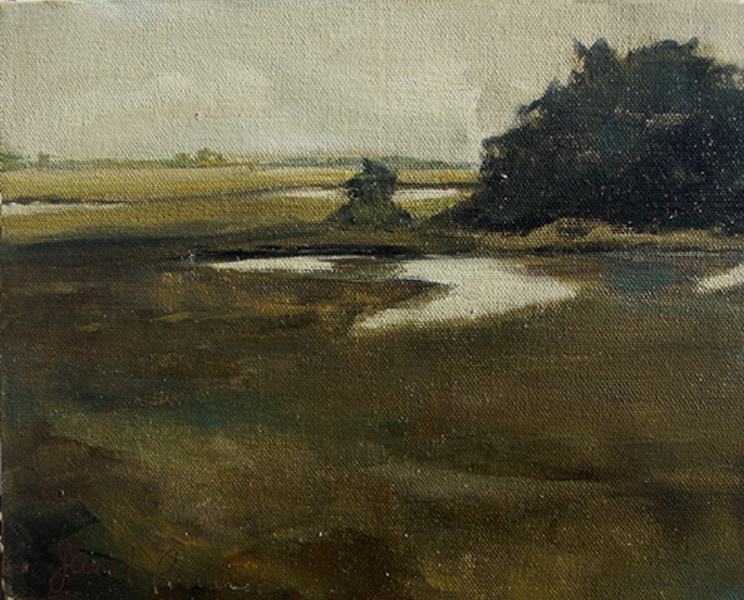 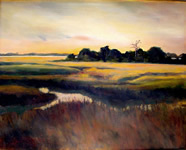 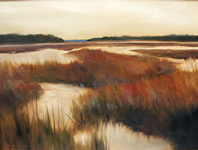 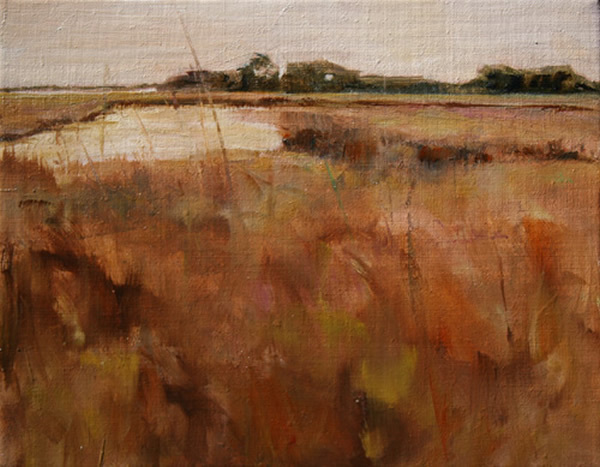 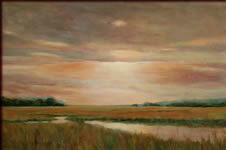 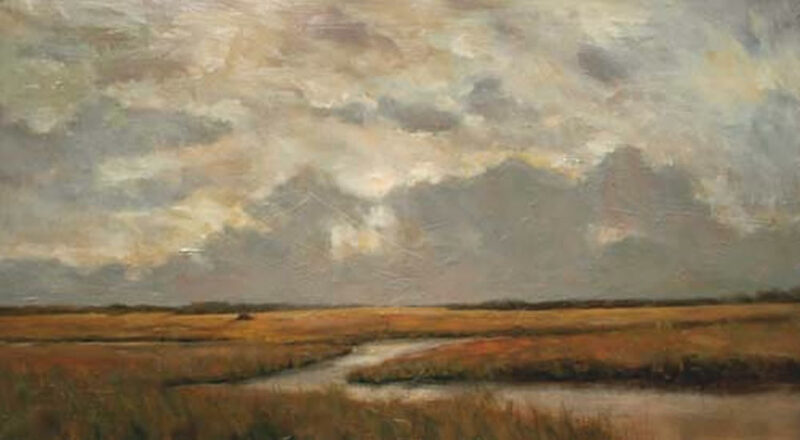 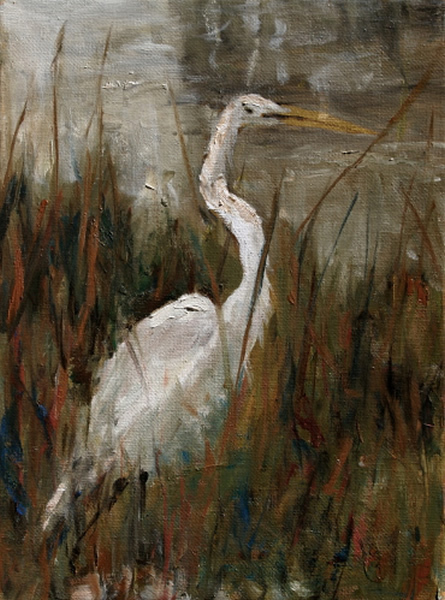 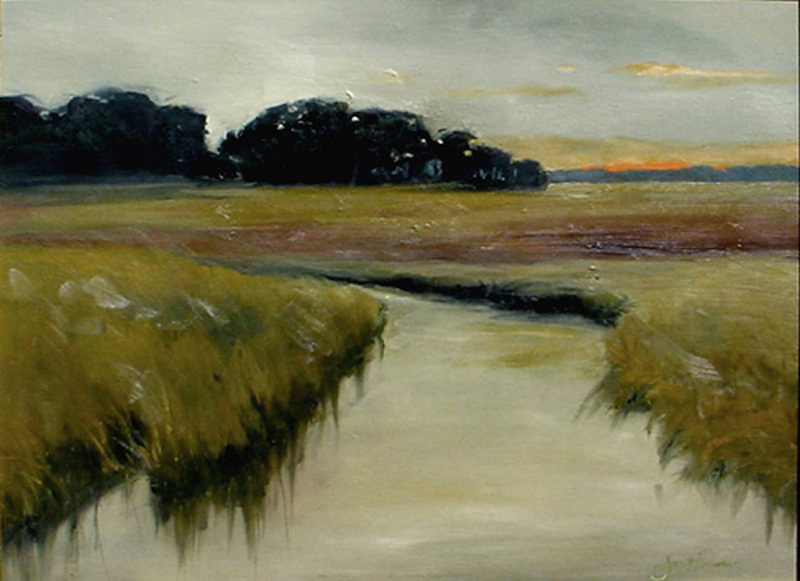 "Since moving to Georgia's southernmost coast in 1997 I have painted exclusively salt marsh scenes. Looking back at this body of work it strikes me that there is only one structure and no human element in these landscapes, which leaves me to ponder the reason for this attachment to unspoiled and pristine land. Perhaps it is an over reaction to the gross development and tourism in Myrtle Beach where I'd lived the 30 years prior. 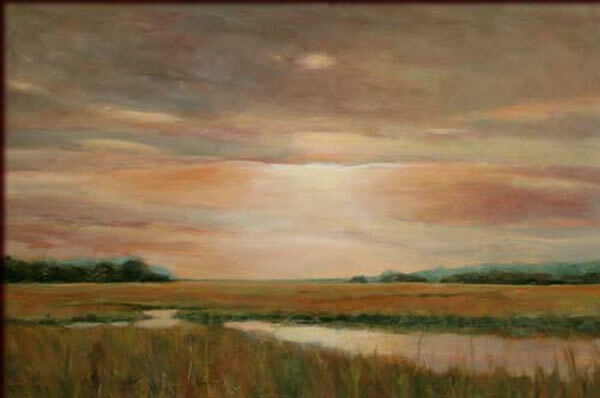 Or perhaps it is that this magical land simply has its own vitality and spirit. 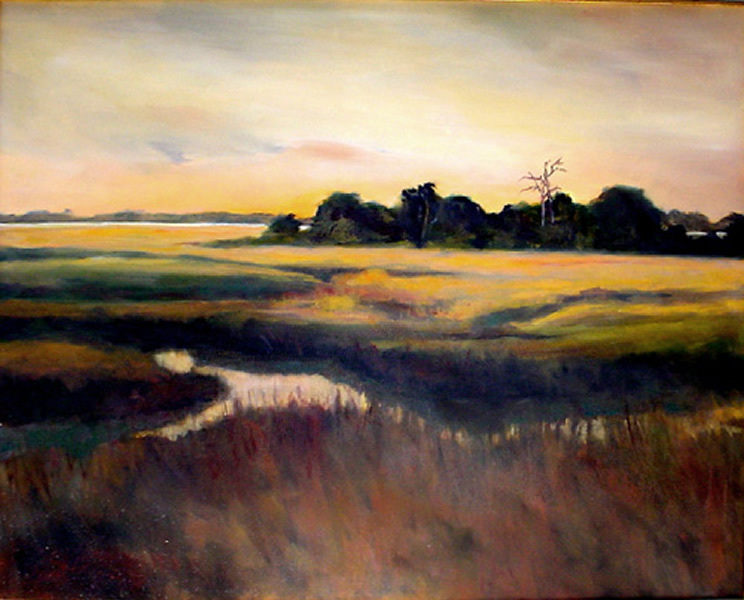 My husband, Paul, and I live on a salt water river with an immediate expanse of marsh grass, the river, then an area of receding marsh grass and distant tree lines, and finally a view of deep space that feels like infinity. 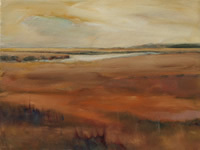 The longer we live with and on this piece of earth the more apparent are the animation and energy. 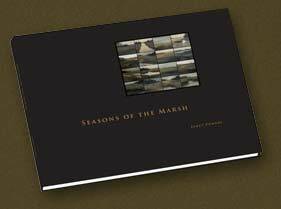 There are incessant changes in the light, the tides, the atmospheric conditions and the seasons. 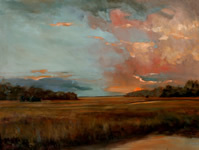 It's truly a delight and wonderment to merely sit on our back porch and experience these changes. Rather than just documenting the landscapes as they are, my paintings are meant to portray a mood. 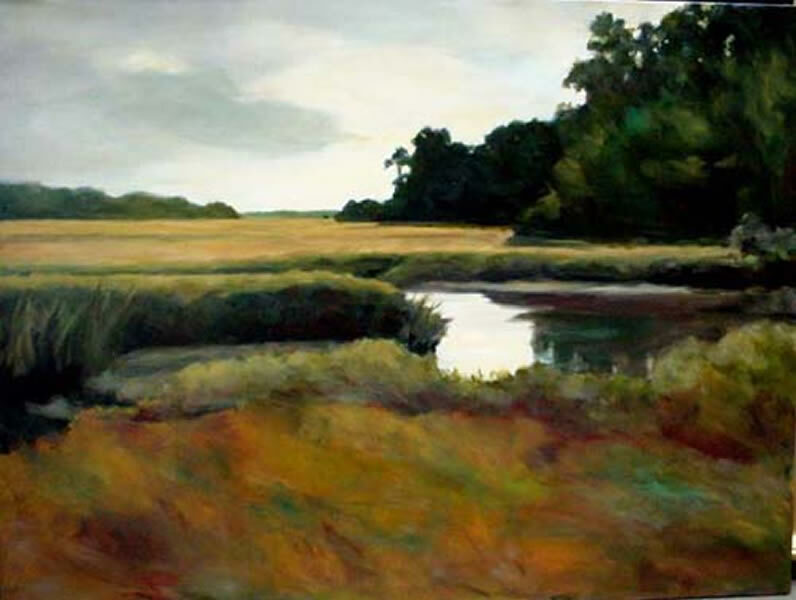 Therefore, I use a somewhat monochromatic color scheme and purposefully keep the values close in range so as to not distract from the mood. 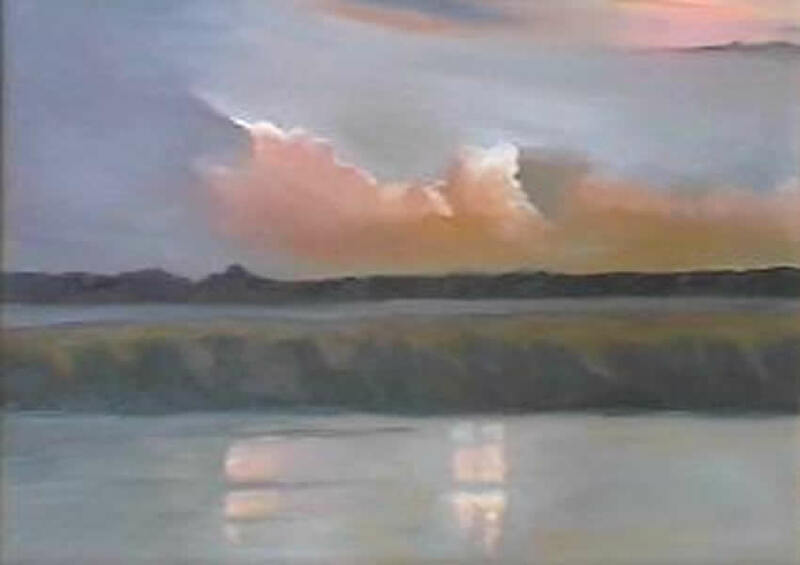 This area is unique with its great amount of vast and deep space, and it evokes strong feelings of mystery and emotion...for me this emotion is extremely spiritual. 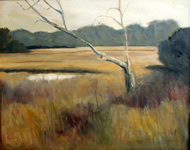 I enjoy such reverence for this bit of nature. 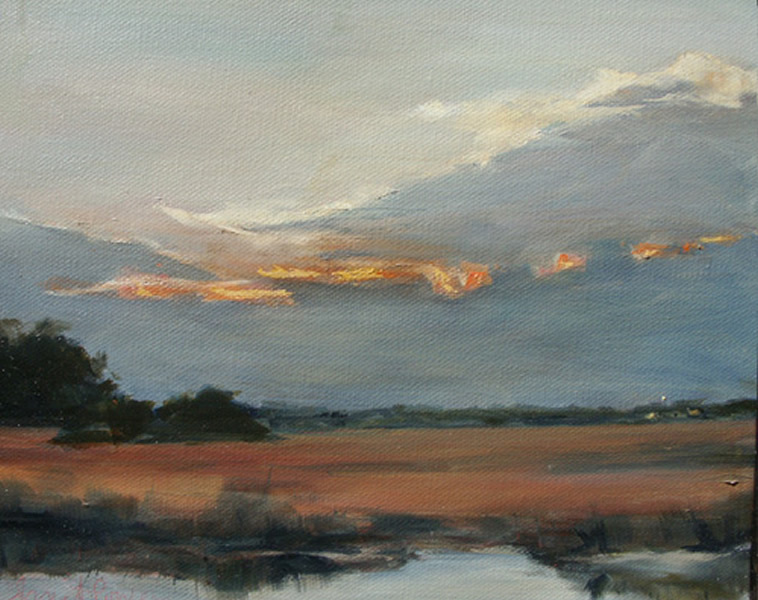 A conscious being cannot help but feel an intimate connection with this land, and in my paintings this connection is what I hope to convey."